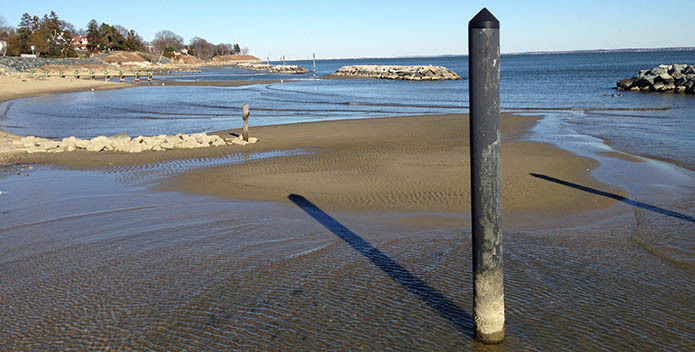 Extremely low tides are common throughout the Chesapeake during winter. It's the heart of winter—an unusual time on the Chesapeake of darker, shorter days, low tides, and blistery cold weather. But just how exactly do things change on the Bay during the winter season, and more importantly, why? Here are answers to some of those burning questions you've always had but never asked about wintertime on the Chesapeake. Where do blue crabs go during the cold, weary months of winter? Like many of us, blue crabs are not big fans of cold weather. Instead of suffering through it, they will retreat to deeper waters during the winter months and burrow into muddy and sandy bottoms where they will remain in a dormant state until warmer weather returns. Why is there so much waterfowl along the Chesapeake in winter? Unlike blue crabs, there is certainly no shortage of waterfowl along the Chesapeake in winter. In fact, most of the 28 species of ducks, geese, and swans that spend some time on the Chesapeake throughout the year do so in winter. Summering in colder climates like Alaska’s North Slope or Nova Scotia’s lake marshes, waterfowl come to the Chesapeake in search of food as their summering grounds have long-since frozen over. 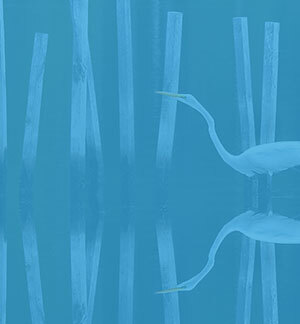 The Chesapeake Bay marshes and surrounding farmland provide the perfect place for waterfowl to winter and nibble on submerged aquatic vegetation, small shellfish, and left-over grain in farm fields. Why are the Chesapeake’s tides so low in winter? As former CBF Director of Fisheries Bill Goldsborough says, "Tide levels in Chesapeake Bay are determined largely by two factors—the moon and the wind. The lunar effect on tides is from the gravitational pull of the moon on the water and thus changes as the moon revolves around the Earth…So, the lunar effect is predictable and is the basis for tide tables. In the Chesapeake, the wind is the second major control on tide level, but in some conditions of wind strength, direction, and duration, it can overpower the lunar effect. This is basically what happens with the blow-out low tides we sometimes see in winter. The prevailing winter wind direction here is northwest, and when it blows hard from that direction and for multiple days, it literally pushes water out of the Bay." Can the Chesapeake Bay ever freeze over? It can and it has. In fact, the Chesapeake Bay has been documented as freezing over in winter months a good seven times since 1780 says Chesapeake Bay Magazine. The last time the surface of the Bay froze over was in the brutal winter of 1976-77, when roughly 85 percent of the Bay and its rivers and streams formed ice. Why is the water so clear in winter? The cold temperatures of winter slow the metabolisms and thus the rates of growth and reproduction for many organisms, including phytoplankton and zooplankton. In fact, their populations are at their lowest in the wintertime, therefore resulting in the clearest Bay water of the year.